SCE's journeyman team placed first at the International Lineman's Rodeo in the Senior Division. Pictured (l-r) are: Steve Lekvold, Oscar Perez and Bryan Lee. The journeyman team of Ryan Araujo, George Murillo and Eric Brusseau placed fifth overall. SCE had 11 teams and eight apprentices competing at this year’s International Lineman's Rodeo. 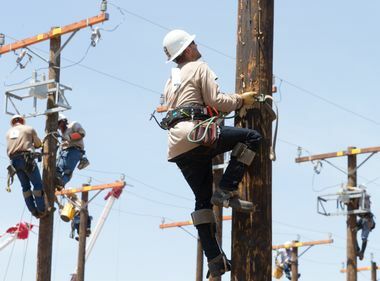 The first time Steve Lekvold, 57, a Southern California Edison lineman, was called to the podium to accept an award at the International Lineman’s Rodeo in Kansas, he missed the ceremony because he was resting back at his hotel. Twenty three years later, Lekvold and his teammates — Bryan Lee, 53, and Oscar Perez, 54 — made sure they were at the ceremony to stand atop the podium to accept the Overall Journeyman Award in the Senior Division. 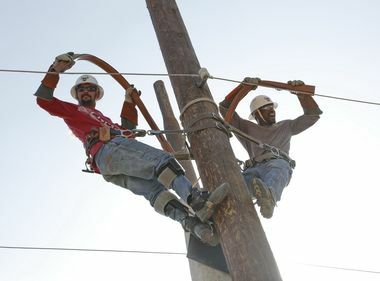 The International Lineman’s Rodeo began in Kansas in 1984 with 12 competing teams. This year, there were 238 journeyman teams competing and 313 apprentices. 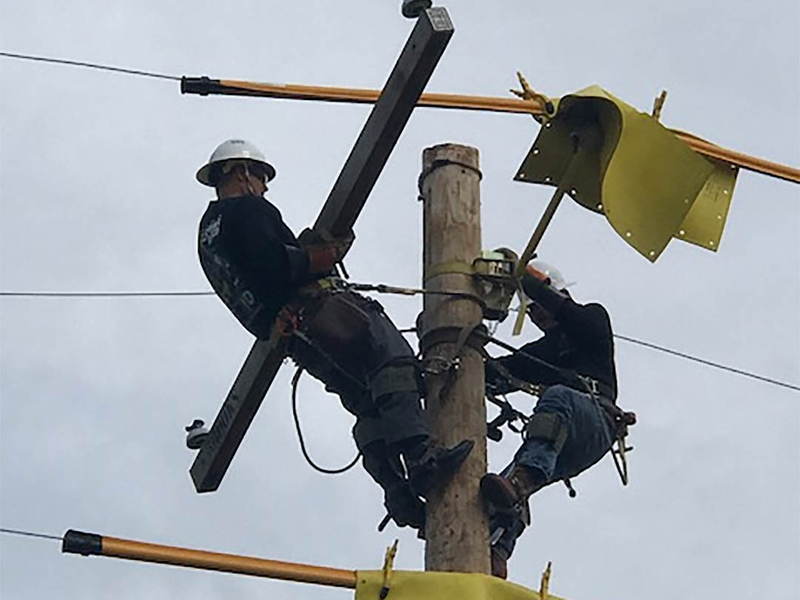 SCE had 11 teams and eight apprentices at this year’s rodeo, competing in events like the Hurtman Rescue, Pole Climb and two mystery events. In total, the SCE teams made it to the podium seven times. In addition to the Senior Division, SCE journeyman teams also placed second and third in the Hurtman Rescue. The journeyman team of Ryan Araujo, George Murillo and Eric Brusseau placed fifth overall. 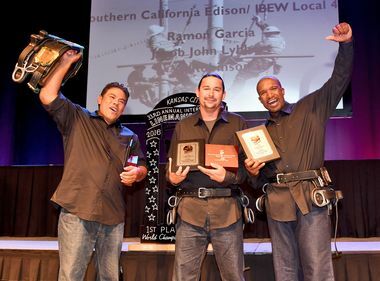 In the Journeyman – Investor-Owned Utilities Division, the SCE team of Ryan Araujo, George Murillo and Eric Brusseau finished third. Three of the journeyman teams also completed their events “clean,” meaning they had no deductions.